The Indus Valley Civilisation dates, back to nearly 4500 BP (before present) and is the earliest known urban culture in the Indian subcontinent. 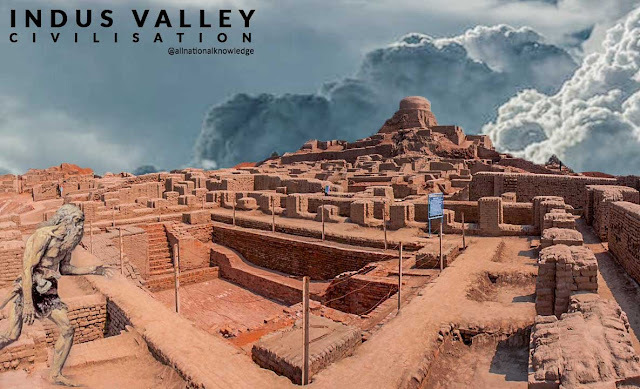 Among the many sites of this civilisation discovered so far, the Harappan site was the first to be discovered in 1921 and hence the civilisation is also referred to as the Harappan Civilisation or Harappan Culture. In 1922, another great city of this lost civilisation, called Mohenjo-daro was discovered. 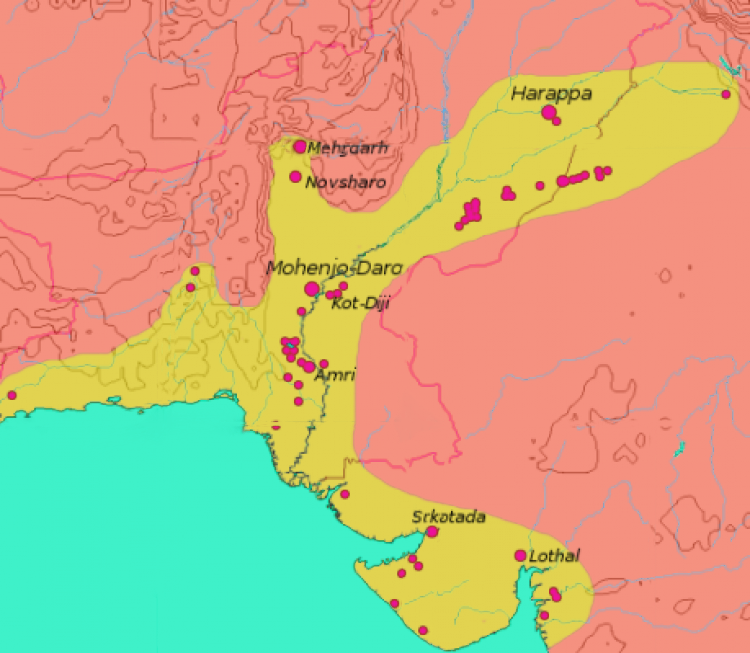 A number of other sites such as Chanhudaro, Lothal, Kalibangan, Dholavira, etc, have subsequently been discovered. Indus Valley Civilization. The shaded area does not include recent excavations such as Rupar, Balakot, Shortughai in Afghanistan, Manda in Jammu, etc. The harappan culture is known for some of its very distinct features .these include the development of urban centers,planning of towns ,streets, sewage system, the great baths and granaries. The discovery of numerous artifacts ,seals and statues, standard weights and measures which are unique to this culture, also throw light on the art culture ,science and technology ,government,agriculture,religion,script and other aspects of social life. 8. Which of the following is the latest site found? Civilization sites gives evidence of a dockyard? Civilization sites gives evidence of a stadium? uniformity in Indus Civilization settlement? site was located on the Iranian border? sites, the cotton piece was found ? sites provides the evidence of fire-altars? of bead making been found? from skeleton of Harappan sites? the valley of Ghaggar and its associated rivers? the earliest evidence of surgery? beautiful bronze image of a chariot? contemporary with the Harappan civilization? were known to water reservoir technique? sites gives evidence of a Lipstick?